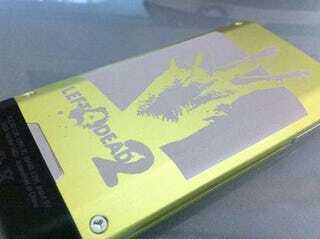 On Monday we kicked off a short contest to give away this slick lime green, laser-etched 32GB Zune HD. Today we randomly pulled one name from our newsletter subscribers list. Congrats man. Hit me up at my editor@ email address with your name, address and phone number. Don't worry if you didn't win. Tomorrow we're kicking off a contest to give away DJ Hero 2 Party Bundles to four lucky gamers. More details on that contest tomorrow. Enjoy your month of freebies.